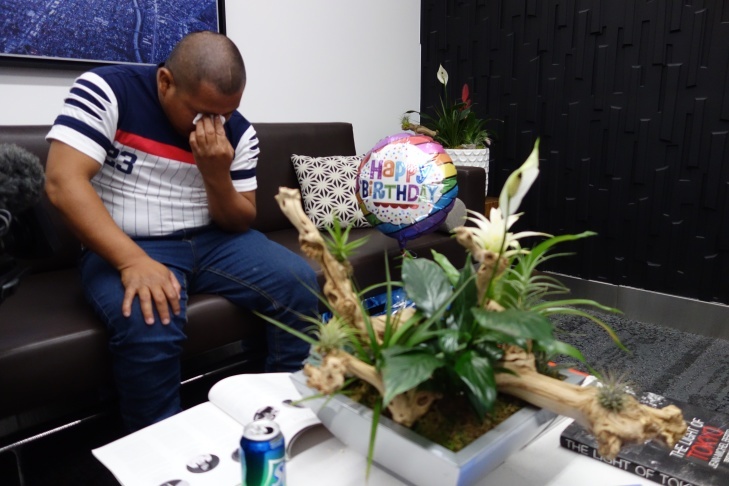 An unauthorized Guatemalan immigrant father and son, separated by federal agents at the Mexican border in late May, are finally back together. 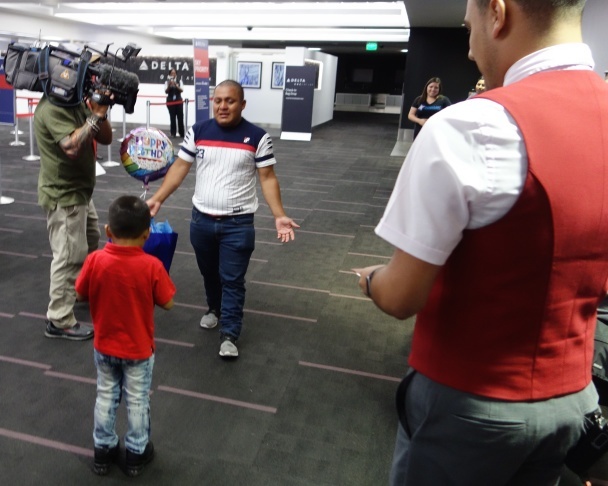 Forty-eight days after Hermelindo Che Coc last saw his six-year-old son, Jefferson, the pair was reunited at Los Angeles International Airport Saturday night. 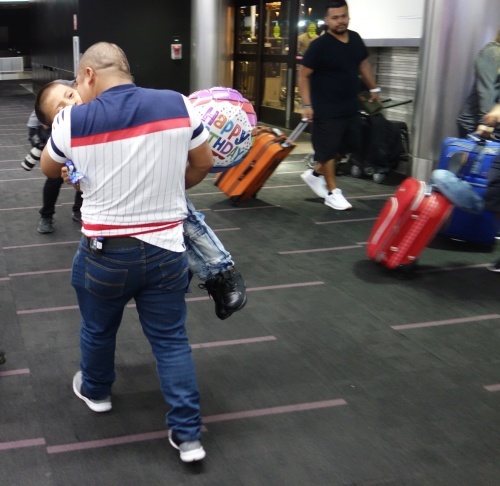 Immigration officers took Jefferson away one day after father and son were detained in Texas. The father was released in late June. But Jefferson has been held at a shelter in the Bronx, New York. 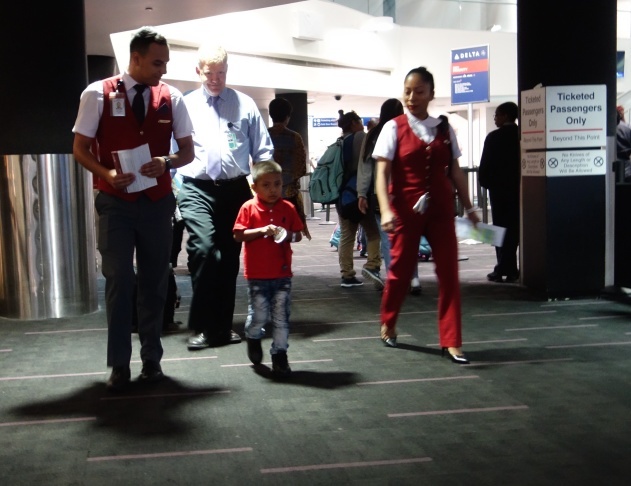 Following a public outcry and the intervention of immigration rights lawyers and a federal judge, Jefferson was put on a flight alone to L.A.
His dad, short and stocky, crushed the slight boy in his arms and sobbed. 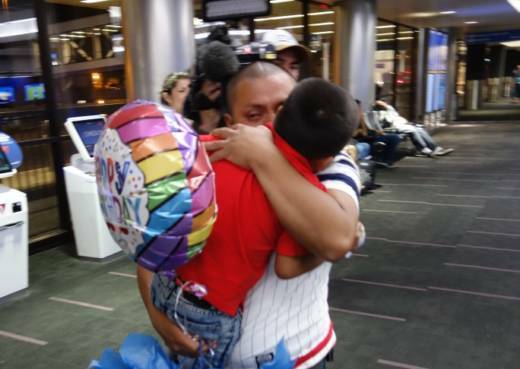 A federal judge gave officials until July 26 to reunite the children with their families. But the only date that matters to Hermelinda Che Coc is July 20, when Jefferson has his seventh birthday at home in Azusa with family.